Tools to get more done. 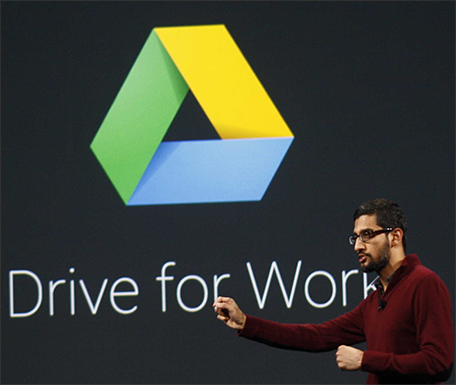 Take Gmail to work, store and schedule in the cloud, meet face to face with anyone. Calendar, Docs, Spreadsheets, Drawing and much more. More than 5 million businesses have gone Google. Try Google Apps free for 30 days. No credit card or software download required. Meet face to face with anyone. Hold HD video meetings through Hangouts with up to 15 people on your laptop, tablet or phone. You can share your screen, give presentations and chat as you work. Controls for securing your devices and data. Manage mobile devices, email addresses, security settings and more from the Google Admin console. Keep all your company data safe, centralized and protected from disruptions such as missing hardware or employee turnover. Your business, your rules. Teamwork that works. Create a budget tracker in Sheets, share it with teammates and edit it in real-time. It’s automatically stored in Drive so everyone always has the latest version. No more sending attachments to get on the same page. More productive meetings. Schedule events in Calendar at times that work for everyone. Get meeting reminders directly to your Gmail inbox. With one-click, join a video meeting through Hangouts and share your Slides to review as a team. Less prep, fewer next steps. Up-to-the-minute everything for everyone on your team. Keep your team on the same page with the entire collection of Creative Cloud desktop apps, mobile apps, and services. Everyone can work on the latest version of the same apps, share files, and get the plan that best fits their needs—complete or single app. Meets your needs. Even if they change every other minute. Creative Cloud for teams delivers an Admin Console that makes it fast, simple, and affordable to add or reassign licenses and deploy software —whether you have the complete plan, the single-app plan, or a combination of both. So you can scale with your workload while keeping everyone in sync. Create. Collaborate. Iterate. Your team members always have easy access to their files, fonts, colors, community, and collaborators from their favorite Adobe desktop apps, mobile apps, and services. They can save to the cloud right from their apps, or drag and drop to their Creative Cloud folders, and every layer is maintained. And they can easily make edits, capture feedback, and work together better. Once you get your team on Adobe Creative Cloud, you’ll never look back. The industry-leading creative apps and services are constantly updated. Collaboration is easier than ever, on any device. And managing licenses basically takes care of itself. 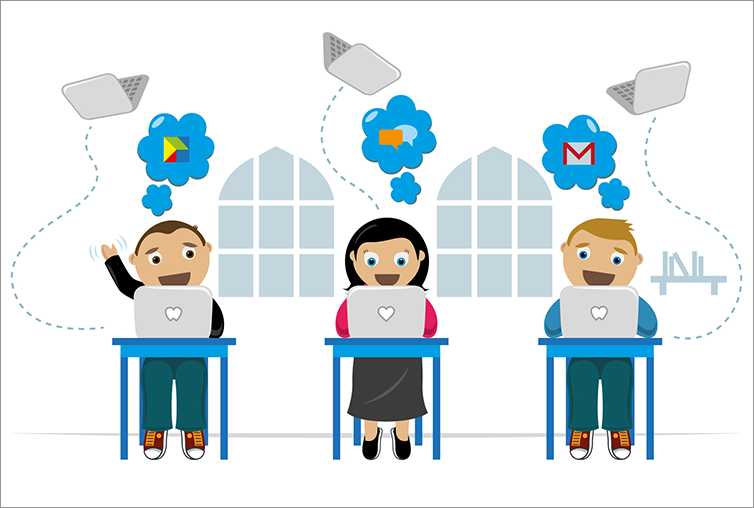 Move your business from offline to online with Google Apps for Work.